Yarb (the sis) took this photo of Baby J – and it made me cry when I saw it! He looks like such a little boy! But he is still a baby. 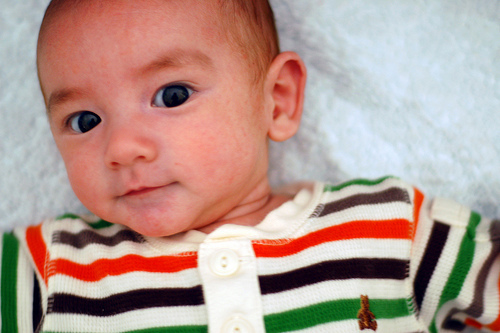 Such an adorable baby – definitely cuter than the two set of genes that went into making him. (Note: His bottom lip is fuller than is shown in this photo). The most loved baby ever – between Boom and I, Auntie Yarbs and my mom – and that doesn’t include the relatives that live outside our home state. I am working to get him on a sleep schedule – so far so good. I am cautiously optimistic – without jinxing us. With a more regular schedule, hopefully I’ll have more time to craft! This past Friday Baby J turned 8-weeks old! He is such a cute baby!!! Mom came into town for a couple days, to watch JJ, as well as see Dad sing (he is part of a choir that traveled down to H-town to perform). 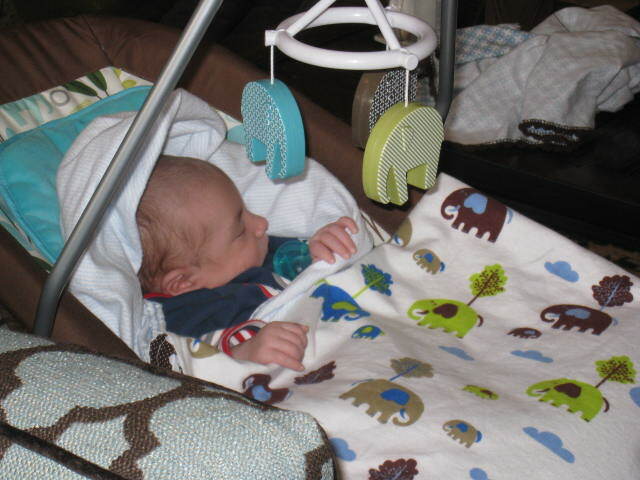 She thought he really changed, but not as much as Dad did – he saw Baby J in his swing and was all, Is this Jack? (and he was serious!) I was all, No, it is a different and new baby. Mom is so adorable – she is so crazy about Baby J (what is there not to be crazy about?!). She has painted his picture (painted, as in brushes, water and paint!) and informed me that she Baby J could be a baby in advertisements. I asked her, Do you think you might be a little biased? And she was all, No way, I am not biased (ha!). 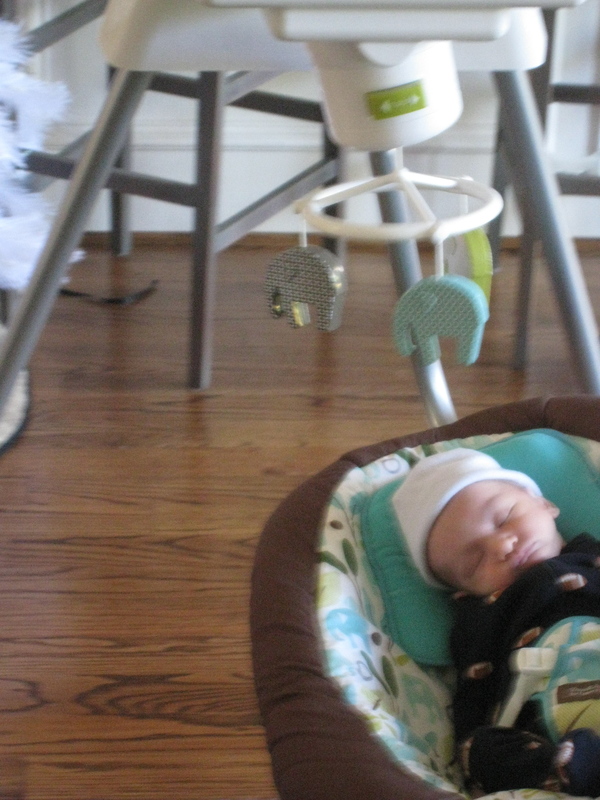 He is truly a pretty super baby – just need to work on sleeping through the night… all in good time, all in good time. Another Video of Baby J! Jack “Walking” and “Dancing” from Tingaling on Vimeo. Jack was the 10th most popular name in 2009. I like that he is a forth, so clearly we are not jumping on the bandwagon. John was the 49th (I think) most popular name in 2009. I think John is a great name – why not call your son John (instead of Jack) if there are not multiple ones in the family? 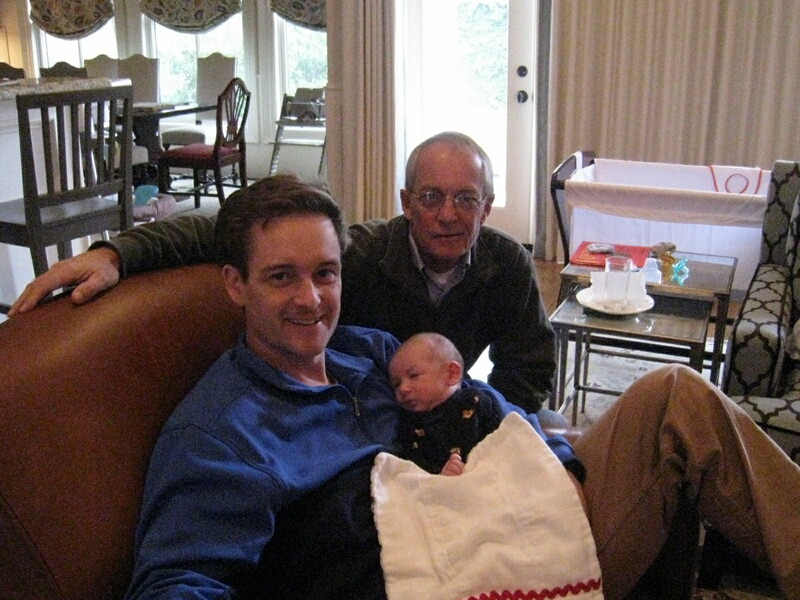 I know about a dozen little boys named Jack, since the name is so popular now, but I always knew that if we had a boy, he’d be an IV, and thus called what is grandfather goes by, so as not to make things too confusing in the household. 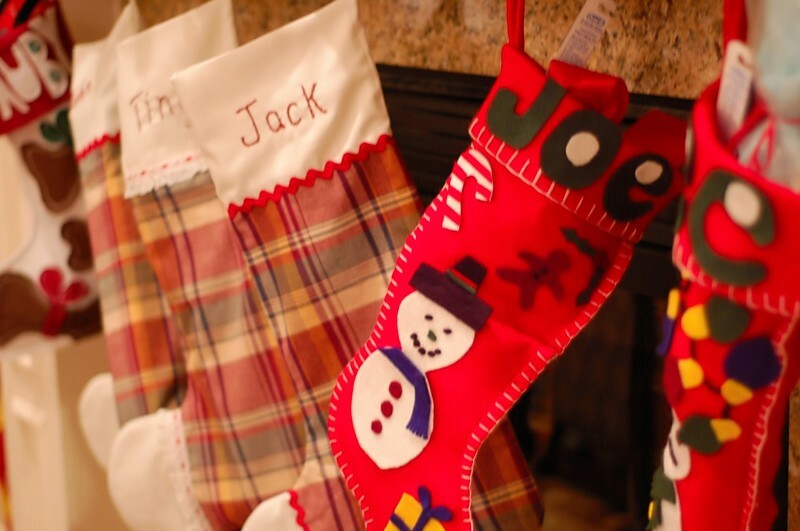 A matching stocking by his Nana – she has given each family (of her kids) a different pattern – ours is the cute plaid that you see. She got back from China, was up in Maine for Thanksgiving, and was still able make us CM’s stocking. 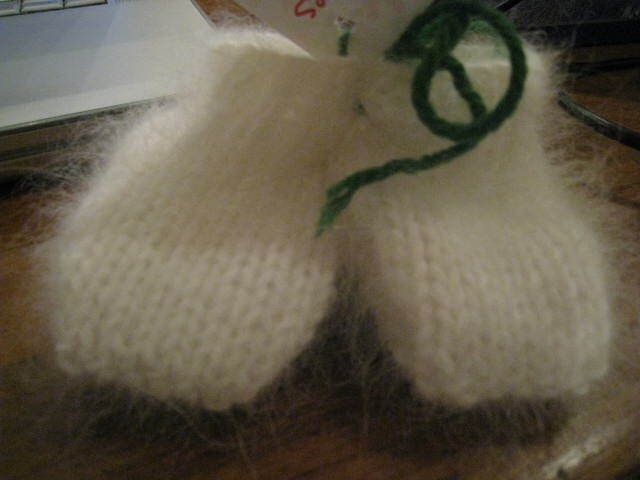 Adorable hand knit booties! My old Junior League of Richmond transfer chair and then supper club member, L, sent these to little CM. So so so adorable! I need to put them on him – I just looking at them. But he needs to wear them before his feet are too big! Home brewed beer! with really cute custom labels. What a great idea! I even asked Boom if he could brew our own beer this next holiday season. I really love the packaging potential, but I think it is also a super gift. 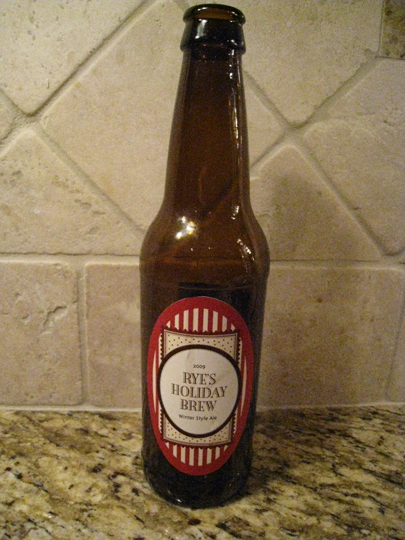 and Rye’s Holiday Brew was quite tasty! 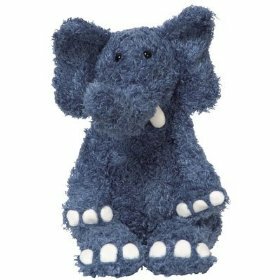 Regardless, I am loving all the elephants! (and any Jellycat stuffed animal – Boom got CM a Jellycat cow / ox) Much better than the traditional ducks and rabbits. 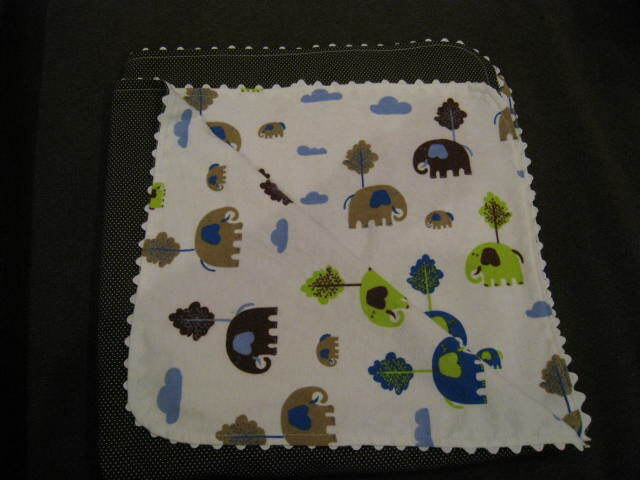 Hopefully all these elephants will tap into Alejandro’s adventurous side (Alejandro is CM’s world adventurer name!) – one day he’ll be able to see them in the wild when he goes on safari (like Yarbs and I did when I graduated from university).